We've got a "Triple Top", so there's a correction, which is taking place on the four-hours chart. 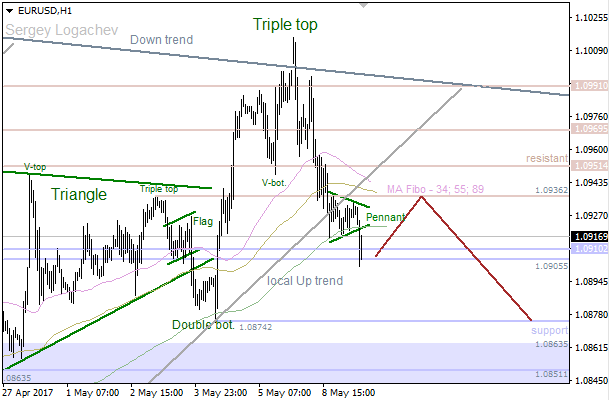 Therefore, the market is likely going to decline towards support at 1.0874 - 1.0851. If a pullback from this area happens, there'll be an opportunity to have an upward price movement in the direction of resistance 1.0905 - 1.0910. 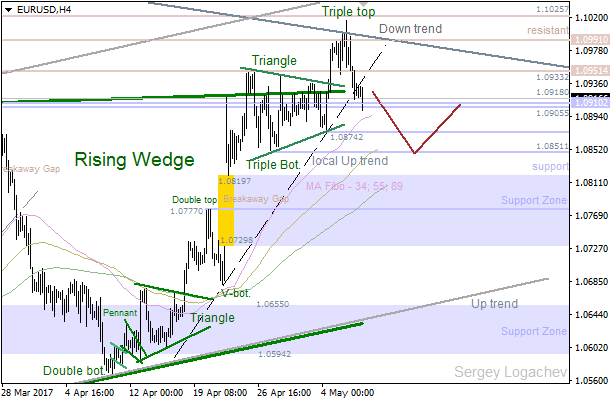 The last "Pennant" has been broken, so bears faced support at 1.0905. In this case, bulls are likely going to test resistance at 1.0936, which could be a departure point for another decline towards support at 1.0874.